jess at home: my favorite room in the house! my favorite room in the house! 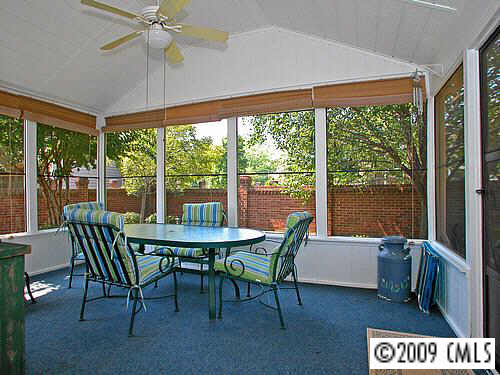 One of the reasons we bought our home was because of the screen in porch. This was actually the first space we really did anything with. My Father-in-Law and Matt put tile down our first spring here. I love it! Matt sits out here all the time so for his last birthday I got him TV. He will sit outside and smoke a cigar and watch sports - such a happy camper. When it isn't 100 degrees we practically live out here. I really can't wait to enjoy it this fall! So long skanky blue carpet! thanks girl! yes, come visit!! !